Need a cocktail for your upcoming Super Bowl party? 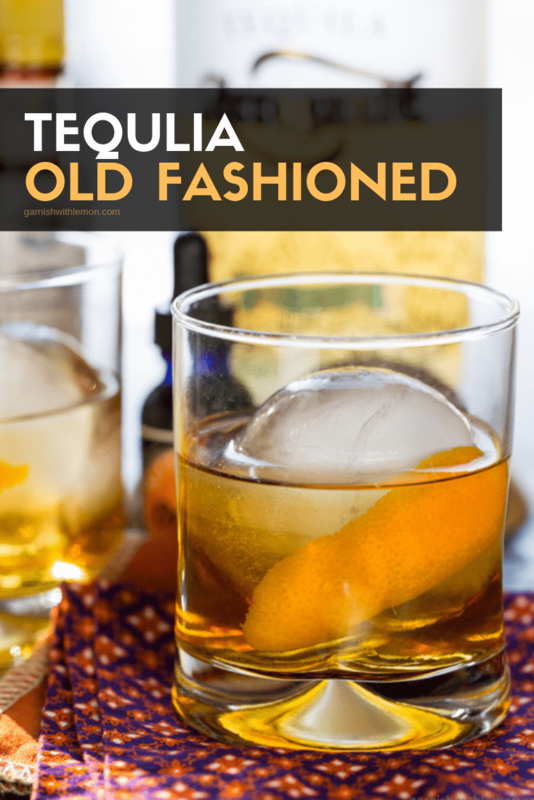 You can’t go wrong with this Tequila Old Fashioned. Full disclosure: I was inspired to recreate this recipe at my nine-year old’s birthday party. Honestly, it’s not as bad as it sounds. Granted, there have been days when Grady has driven me to imbibe at 5pm, but this was not one of those occasions. In fact, we were out to dinner with my mom and my older brother to celebrate Grady’s 9th birthday. Drinks were ordered (root beer for the birthday boy), and my mom’s cocktail caught my eye across the table. Naturally I asked for a taste (we’re family; germs don’t matter), and I was blown away by this Tequila Old Fashioned. In fact, it might just be my new drink of choice for some time to come. 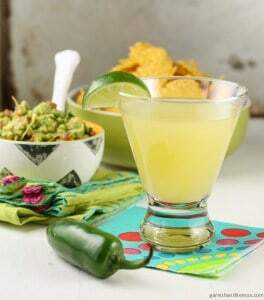 I’m a big tequila fan, but most of my taste for this liquor comes from really good margaritas or palomas – never straight-up tequila. That’s about to change now that I’ve gotten to know my new friend, añejo tequila. 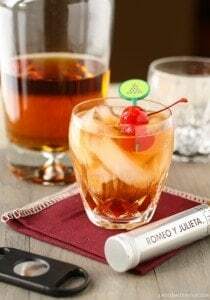 Soft, smooth and perfectly sippable, añejo tequila is a must have for this cocktail. I’ll caution you that good añejo can be a bit pricey, but please don’t subject yourself to cheap tequila. Your head will thank me in the morning. The ice spheres are not necessary for this drink (you can always use regular ice cubes), but we’ve used the Tovolo ice molds that I bought Pat for Christmas numerous times already. They instantly elevate any cocktail to “special” status. 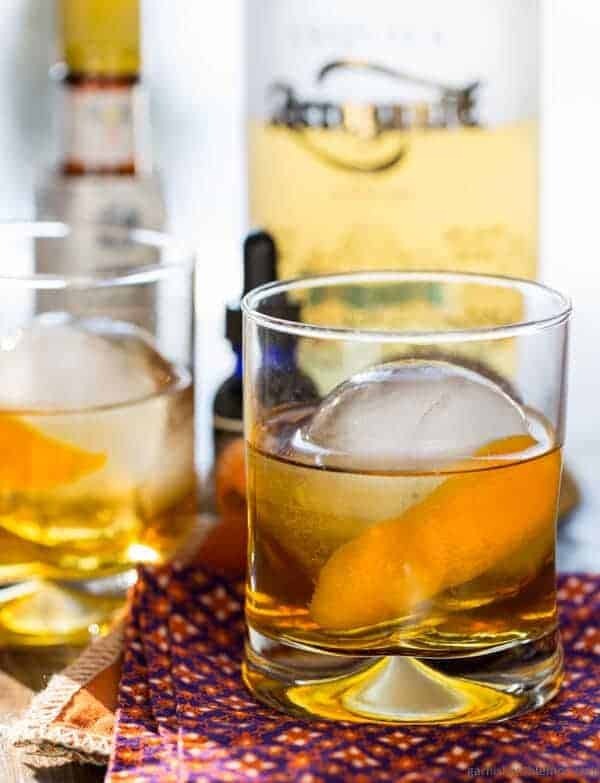 And although there is nothing super fancy about most football parties, you can bet that I’ll be sipping one of these Tequila Old Fashioneds as I jockey for the most coveted spot on the couch on Super Bowl Sunday. I hope you’ll join me! Looking for more party cocktails? We’ve got ‘em! A smooth tequila drink with orange. Place tequila, agave syrup and bitters in a small glass with ice cubes. Stir gently to combine. Strain into another glass filled with ice and garnish with an orange peel, if desired. I think we all of days like that, ready for a cocktail before 5pm. I am so intrigued by this recipe. I was always afraid of an old-fashioned because of the liquor in it. I never thought to have one made with tequilla. I would definitely enjoy it. I promise, Christie; I wouldn’t lead you astray. I hope you try it! A tequila old fashion!!! Where has that been?? Next on my list to try! Also, I’m thinking about starting a drinks linky party on my other blog Grey is the New Black (I do a cocktail post every Tuesday and call it Tipsy Tuesday) – do you think you’d be interested in linking up your cocktails? If you really wanna take it next level, next time order a Oaxacan (wuh-hakan) old fashion, very similar concept…. 1 ounce reposado / 1 ounce Mezcal/ 4 splashes of orange bitters or chcoclate mole bitters/ bar spoon of sugar or a spoon of agave, garnish with an orange peel. It’s decadent, favorite cocktail these days. Hi Branden, I’m a Mezcal novice (any brand suggestions? ), but that drink sounds so intriguing. Putting it on my list! Thanks for stopping by!